paper and silk and of course china. 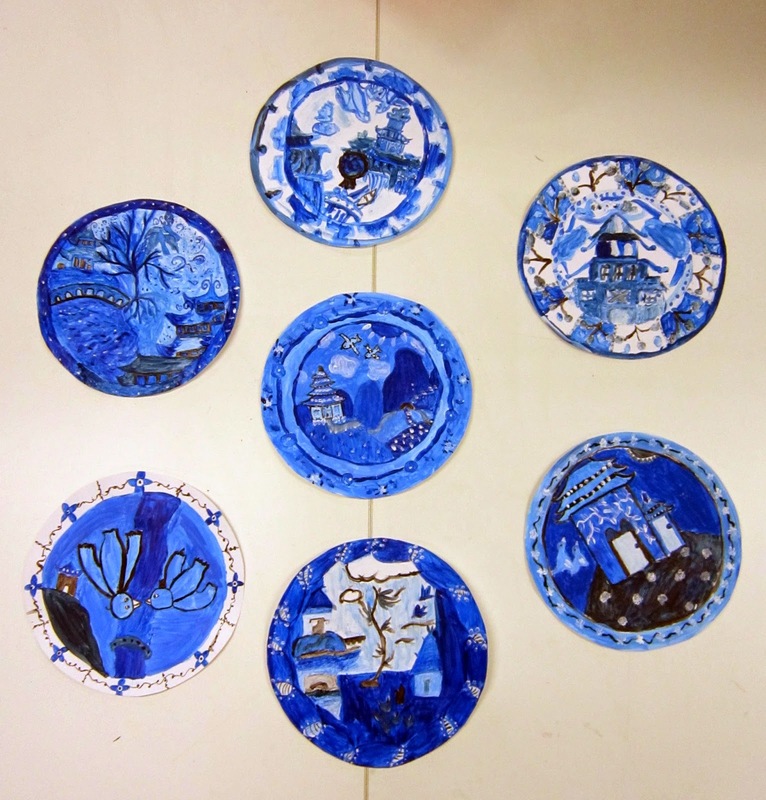 We looked a typical blue and white china designs. I played a bit of a trick by showing the class the willow plate. They immediately guessed that it came from China. They were surprised to find out that the famous willow pattern china is actually English. It came as a result of people being interested in things from china and it became fashionable to imitate the Chinese style in other countries. We watched this animated version of the Chinese story that inspired the plate design. Then we had a go at creating some of our own. Firstly we sketched some ideas in our visual diaries, taking care to copy the patterns and shapes of designs that made the plates look Chinese. We used blue, black and white acrylic paint to create shades (adding black) and tints (adding white) of blue. These are from my year 6/7 class.